What is the difference between energy conservation and energy management? Energy conservation is the intent to use less energy, typically through behavioral changes in the usage of electricity. An example of energy efficiency is turning an aircon or lights off when not in use at specific times of the day (e.g. peak times). Energy management, on the other hand, involves the use of energy efficient appliances, equipment and technologies to maximize returns and benefits without sacrificing comfort, productivity, quality, safety and environmental standards. What are the energy efficiency tips in using a clothes iron? Iron large batches of clothing at one time. Do not overheat the iron. Iron low temperature fabric items first to reduce warm up time. Switch the iron off minutes before finishing to utilize the remaining stored heat. Dry, sort and fold clothes properly to minimize wasted efforts in ironing. What are the benefits of energy management and efficiency? For residential customers, it means a lower electric bill or being able to enjoy the comfort of using more appliances at the same bill amount previously. What are the energy efficiency tips in using a computer? Adjust the computer’s energy and power settings and turn down the screen brightness to save energy. Forget about screensavers and get 90% savings when you put your computers into “sleep mode” rather than “screensaver mode.” Better yet, shutdown and unplug the computer when not in use. If not possible, use a smart strip that monitor and optimize the power consumption of gadgets. Use a laptop, if available, rather than desktop computers. Plug the charger only when recharging the laptop. What is inverter technology and how does it work? Inverter technology is the latest development in appliances that results in efficient management of motors. Inverters electronically and automatically control the voltage, current and frequency of the appliance which allow it to adapt to various operating conditions, such as room temperature and washing machine load, and adjust the speed of compressors accordingly. This optimized control of the motor operations results in a lower electricity consumption and lower electricity cost by up to 60% from appliances with inverter technology. How can I efficiently manage my household or business’ electricity consumption? How can we be energy efficient in using air conditioners in our cooling system? Install the most appropriately-sized aircon unit to match the cooling space requirement. The Department of Energy (DOE) recommends a 25oC setting for aircon units. For every one degree lower in thermostat setting, savings may reach up to 5% to 7% of total aircon operating cost. Consider using inverter type air conditioners. Based on Meralco Power Lab tests, inverter type aircon units can save up to 30% to 64% of electricity consumption compared to conventional aircon units. Install curtains, blinds or solar screens on windows or glass panels to reduce solar heat that comes from outside. Buy refrigerator and aircon units with higher Energy Efficiency Ratio. The higher the EER, the lower the operating costs. Refer to the EER yellow labels on the appliance. For conventional units, use an operation timer to control the time aircon units turn on and off automatically. Check refrigerant and air ducts for leaks. Clean evaporator filters and condenser fins regularly. Follow the prescribed maintenance schedule of your aircon unit. Put a shed on the aircon’s condenser portion to facilitate more efficient heat transfer. How can we be energy efficient in using the lighting system? Replace inefficient lighting systems such as incandescent bulbs with compact fluorescent lights (CFLs) or better yet, light emitting diode (LED) lights. Observe proper lighting levels and bulb brightness in a particular area. Avoid over-lighting which wastes electricity. Use manual or controlled switching lighting systems in selected areas. Employ task lighting for specific work, study or activity areas. Install sensor-activated switches for areas that need safety, security and convenience lighting. Clean lamps and fixtures regularly to maintain light output. Utilize natural light when and where possible. How can we be energy efficient in using electric fans? Clean the fans regularly and oil the motors per manufacturer advice. Poorly maintained fans (e.g. dust accumulation in fan blades and motor housing) negatively affects the fan’s energy consumption. How can we be energy efficient in using television sets? Choose the right size of TV depending on the room size as well as the viewing distance. Consider replacing old cathode-ray tube (CRT) TVs with liquid crystal display (LCD) or light emitting diode (LED) TVs which are more energy efficient. Activate the energy saving mode of the TV, if it is available with this feature. Unplug TV sets when not in use. TV sets in standby mode still consume electricity. Watch TV together instead of having different TVs on in different rooms. What are the benefits of using an induction heat cooker? Induction cookers utilize 82% of the heat energy, which is more efficient than gas ranges at 36% and electric coil type stoves at 48%. What are the benefits of using a microwave oven? What are the energy efficiency tips in using a microwave oven? Defrost frozen food naturally overnight. Preheat food up to their minimum requirement. Cook only small to medium quantities of food. Keep the microwave oven door closed until the cooking is complete. What are the energy efficiency tips in using a refrigerator? A refrigerator operates at peak efficiency when optimally filled. Choose the right size depending on the needs of your family. Keep the refrigerator full to at least two-thirds capacity. Do not overload to allow for proper air circulation of the cool air inside. 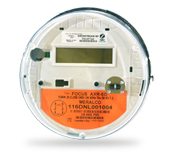 Check the attached yellow label that includes the Energy Efficiency Factor (EEF). Units with a higher EEF cost less to operate. Provide proper air circulation and location by keeping at least a 2-inch gap behind the refrigerator and on all sides. Store food properly. Do not put hot food in the refrigerator. Take the paper test to ensure that refrigerator doors close tightly. Close the refrigerator door on a piece of paper: if you can pull the paper out easily of if it falls, it means that the door seals aren’t working, and it won’t keep the cold in. Time for some repairs. Consider inverter technology. Based on Meralco Power Lab tests, inverter refrigerators save as much as 50% versus conventional units. What are the energy efficiency tips in using a rice cooker? Choose the appropriate size of rice cooker fit for the requirements of your family. An oversized rice cooker will consume more energy than an optimally sized rice cooker. Ensure that the cooker cover is firmly in place. Utilize the ‘Keep Warm’ function if the rice can’t be consumed right away as it will maintain the appropriate amount of heat needed to keep the rice warm but best to unplug after use to prevent additional consumption. Clean your rice cookers and make sure that the inner pot and hot plate are free from any form of impurities such as burnt grains of rice or hardened food to ensure efficient and even heating. What are the energy efficiency tips in using an electric stovetop? Use the right burner size for the cooking pan to lessen heat transfer loss. Choose cooking pans with flat bottoms and tight fitting covers. Ensure the pan covers the whole stove plate to efficiently store heat. Bring foods to boil quickly on the “high” setting and then turn it down to simmer. Turn off and unplug the electric stove during the last minutes of cooking, as the heat generated is enough. What are the energy efficiency tips in using a washing machine? Maximize the operation of your washing machine by washing at full to near-full loads. What are the energy efficiency tips in using a clothes dryer? Place the unit in a warm and dry space. Run the clothes dryer only on full to near-full loads. Sort clothes by type and fabric when drying as different types require different settings and drying time. Light fabrics require less drying time than a mixture of items. Do not put dripping wet clothes in the dryer, nor should they be folded before being placed inside. Clean the dryer often, especially the lint filter, after each operation to maximize air flow and drying efficiency.